Pain free, non invasive dental cleaning leaves teeth whiter and the mouth feeling fresher and cleaner. Thanks to changes in legislation “direct access” dental hygienists and therapists can see you without you having to see the dentist for a check up first. Glowing Smiles is an independent dental hygiene clinic, the only dedicated clinic of this kind in South West London. We offer full range of dental hygiene treatments at your convenience. You can book an appointment for a thorough clean and polish inclusive of all important gum check and your oral health assessment and advise. Here you don’t need to be referred by a dentist and you do not need dentist’s prescription. Simply call and book an appointment with one of our hygienists. Telephone 020 3441 8182 or fill our contact form. We are conveniently located 1 minute walk from Mortlake station, so you can book your appointments before and after office or school hours. We are able to offer direct access hygiene appointments, in a central location, to thoroughly clean your teeth and remove the stains to leave you with whiter snd fresher smile. We are based directly in the building next to the Sheen Lane Health Centre. Every day we are being asked the same question: how would I know if I had gum disease? Unfortunately, the majority of patients have no symptoms of gum disease. It is also unfortunate that periodontal disease is often described as a silent disease, which progresses through stages of quiescence and destruction. 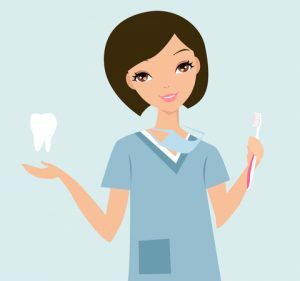 Our advice is, at the first sign of your gums bleeding on flossing or brushing or be it spontaneously, or when you persistently experience bad breath, call your dental team or us: Independent Dental Hygiene Clinic at Mortlake and we will guide you through the appropriate diagnosis, treatment process and maintenance. Be assured, that should you need a specialist care, we will refer you. When was your last visit to the hygienist? Glowing Smiles independent dental hygiene clinic is dedicated to prevention of gum disease. We offer all patients a bespoke dental hygiene experience. Our appointments are comprehensive and our experience ensures we assess at all your needs on an individual basis. We screen all patients for gum problems and help identify risk factors in your lifestyle that may put you at risk of developing gum disease in the future. Our only aim is for you to enjoy healthy gums and therefore healthy body. We will endeavour to help you to achieve best oral health and therefore will will make sure the treatments we offer to you are tailored to your individual needs. We offer all treatment range starting from simple scaling and polishing to advanced gum therapy. Glowing Smiles are delighted to offer Air Flow EMS package treatments to our patients. This new technology is transforming all areas of dental hygiene and periodontal treatment. A powerful and controlled jet of water, air and fine particles of powder can polish the teeth to an exquisite level as well as remove the biofilm, which colonises causing periodontal disease and peri-mucosotis or peri-implantitis: infections around the implants. It is a well known fact that removing harmful biofilm from below the gum line aids in preventing tooth loss. Visiting a Dental Hygienist regularly is one of the best ways to help you, our patient, achieve better oral health for life. This is because we will remove the plaque thoroughly, we will aid reduction in gingivitis to improve your gum health, we will help you to develop better brushing methods and teach you how to look after your teeth for life. To find out more about Direct Access Hygiene Appointments and EMS Air Flow Packages, please telephone 020 3441 8182 or fill out our contact form. Please note the entrance is located directly next door to Curves Gym. Please note we will be open on alternative Saturdays and we will open late evenings upon request.